NOTE: The USB Export control discussed below was replaced in Intuiface Version 4.5 with the Share via USB Drive interface asset. This article exists only to support those using Intuiface Version 4.3 or earlier. Some assets (images, videos, documents) have an option allowing users to export (copy) content of the asset from your experience onto an external USB storage device. 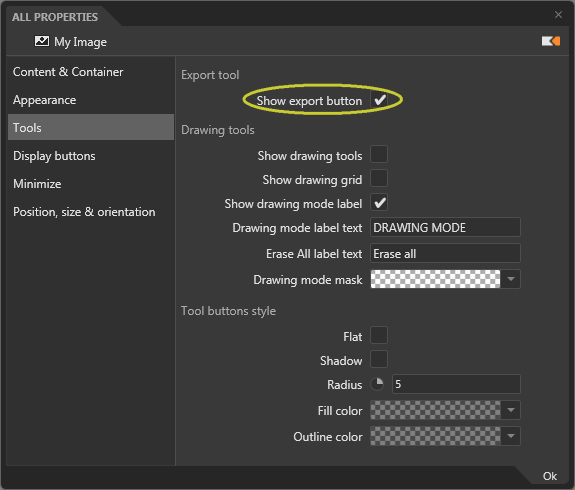 To allow users exporting content to an external USB key, you must first add a USBexport asset to your Space, then enable assets for export. 1) To add a USBexport asset to your project, refer to this Knowledge Base article.